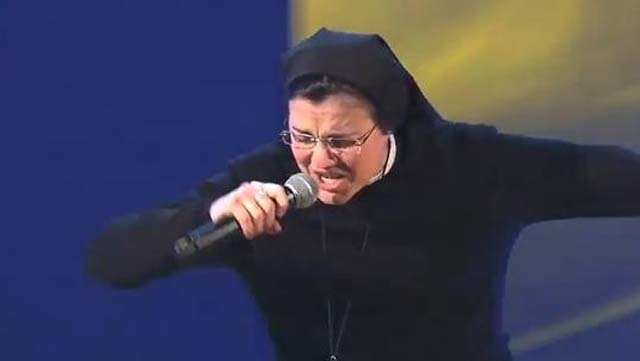 The Singing Nun – Sister Cristina Scuccia | Marbella Marbella – Adelante! The Singing Nun that Has the World on Fire! A good friend of mine quite recently sent me over this video to watch. I enjoyed it immensely, so I thought our visitors to this site might also find something uplifting and stimulating in Sister Cristina Scuccia’ unusual talents. The judges at the Italian version of ‘The Voice’ singing competition could not believe their ears, and especially not their eyes. Sister Cristina Scuccia 25 years old, is Sicilian but lives in Milan and is an Orsolina nun of the Holy Family. Her childhood dream was to become a singer, A non-believer, and against the Church … she instead finds Love. Insecure in life, she is convinced by her Mother Superiors in participating to The Voice of Italy … this is now her mission!